When it comes to travel and packing, I like to pack light and bring only what I can carry. I never check a bag or bring a lot of unnecessary stuff. I’m not one to wear a lot of make up or bring a lot of products with me on trips. I’m happy to use the hotel shampoo and conditioner and all of my cosmetics can fit in a small bag. I always have sunscreen, lip balm, lip stick, and mascara but they’re usually thrown in the front pocket of my backpack and I have to dig for them every time I need them. Rather than carrying my cosmetics in the plastic baggie that I resorted to recently, I decided to get an easy to pack travel cosmetic bag. 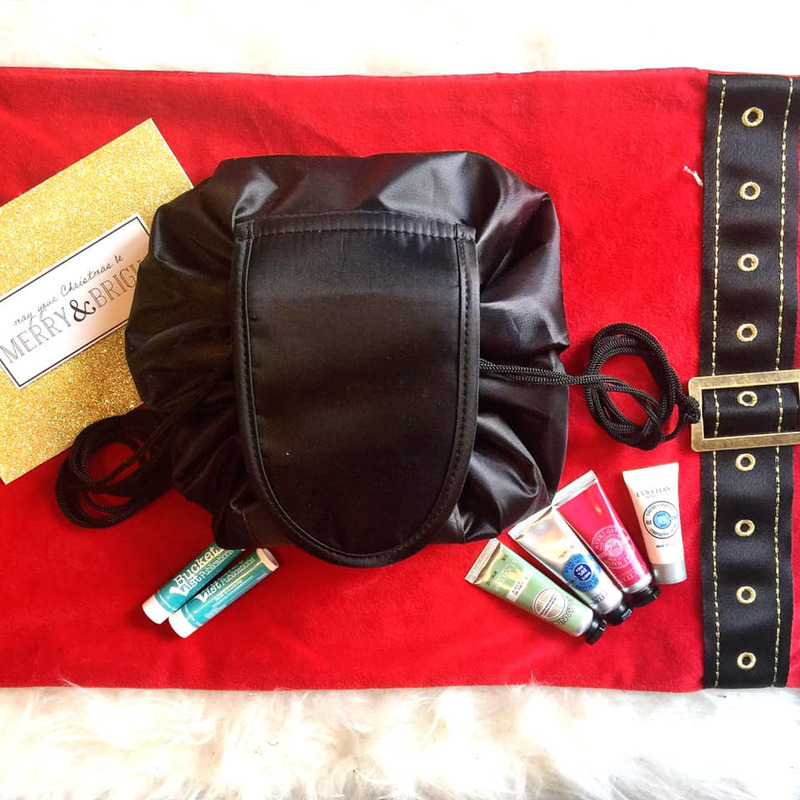 The Nudi Travel Super Lazy Travel Cosmetic Bag is the perfect fit for my lazy organization of cosmetics. I was used to digging for my cosmetics in the front pocket of my backpack and it didn’t really bother me because I just left them there all the time but I recently reached into the pocket of my backpack to get my lip balm and I seriously cut my finger on a shaving razor that was in the pocket too. That’s when I knew I needed to be more organized and get a travel cosmetic bag. 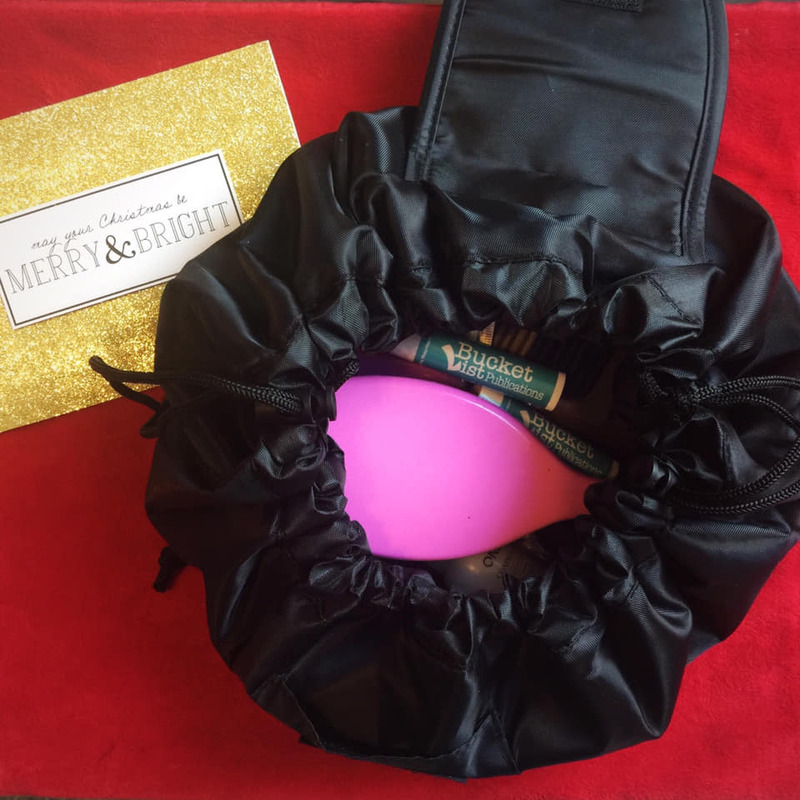 The Super Lazy Travel Cosmetic Bag has a drawstring that can make the bag small or larger depending on what you have inside. You just pull the drawstring and the bag opens up flat so you have easy, convenient access to all your cosmetics. When you’re finished, you just pull the drawstring and close it up. The bag is small enough to fit in my backpack and has two inside pockets to protect your precious items like jewelry or to separate items like that nasty razor that cut my finger. Nudi Travel has other convenient organizers like a Travel Accessories Cable Bag or 6 Piece Set Travel Organiser Cubes. I love finding products that help me stay organized while traveling and save me time when packing. It doesn’t hurt that the travel cosmetic bag saves my fingers from nasty cuts either.